Fancy a wee weekend swim? 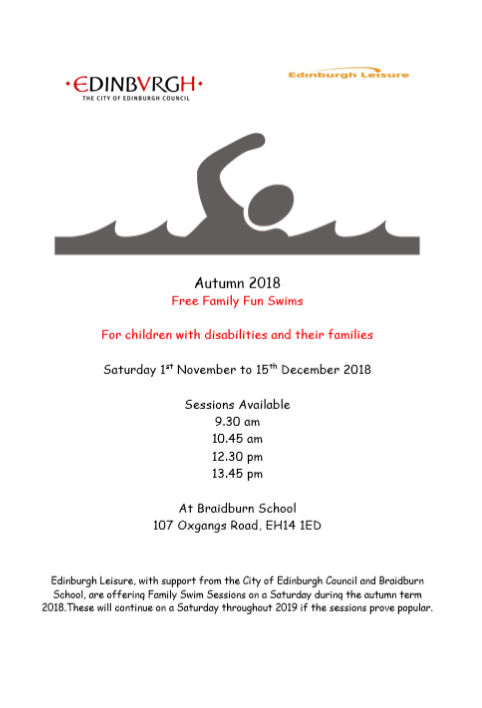 Our friends @BraidburnSchool are hosting Saturday swimming sessions for children with disabilities and their families. #Edinburgh #TeamOaklands #wereallgoingswimming #isthereanythingwedonthaveasongsignifierfor? Previous PostGreat ideas for Core Words at home!Next PostWe “like” our Core Words! We returned forms a few weeks ago and have heard nothing. There is a parents and carers of disabled children edinburgh council page which says that all slots have allocated. Who should I chase this up with? Thanks for chasing for us.